Z88.3 expanded it’s coverage through Ocala, Florida with a crystal clear signal on 88.7 FM. 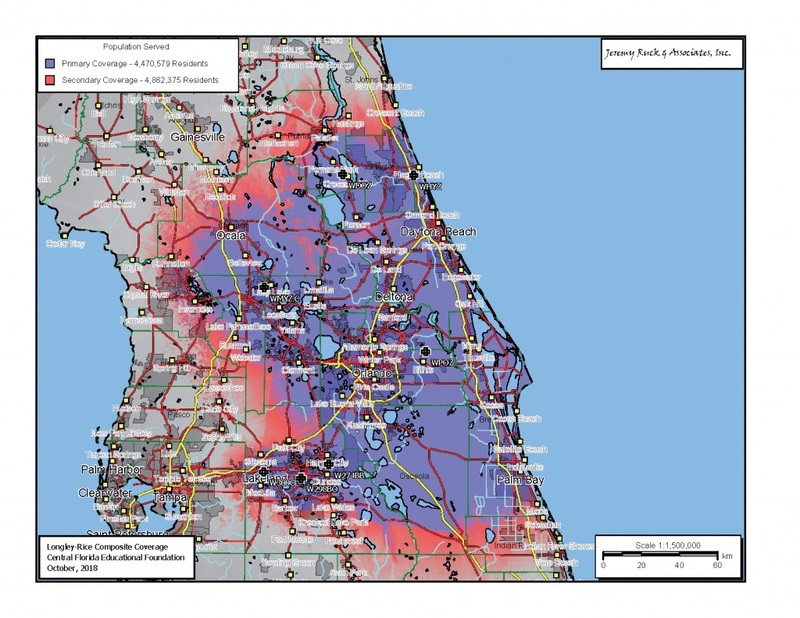 When God allowed Z88.3 to expand the 88.3 signal to 100,000 watts a few years back, the expansion overlapped the 88.7 signal in Clermont, Florida. Z engineers went to work behind the scenes to figure out a way to move the 88.7 signal to a place that would give the Z an opportunity to reach more people with the Gospel. We’re happy to report that all the puzzle pieces came together and that move happened today! Z engineers have been working hard to move the 1,200 watt 88.7 signal from Clermont to an incredible 35,000 watt signal centered in The Villages with the potential of reaching over 450,000 new listeners! This move means the Z will have the largest coverage area of any radio station in Central Florida! It’s quite an impressive footprint that will expand from Ocala to Palm Bay to Palm Coast and all the way back over to Lakeland. Z88.3 delivered their Valentine’s gift to Ocala, The Villages and Leesburg at noon today. Below you can see the new expanded coverage area. Please join the Z Crew in praying that God would use this new signal to bring many more to His Kingdom!